It’s no secret I’m a huge fan of the Wolf In Sheep’s Clothing sleeper cars, and I’ve even written a short piece on how to create a sleeper car; however, after discovering this little gem, I realised I’d previously thrown the term ‘ultimate sleeper’ around a little too freely. As soon as I saw this neat little automotive package, I wanted and needed the ultimate piece of 80s lunacy in my life. It’s the Nissan March SuperTurbo, a 930cc supercharged and turbocharged mini rocket. 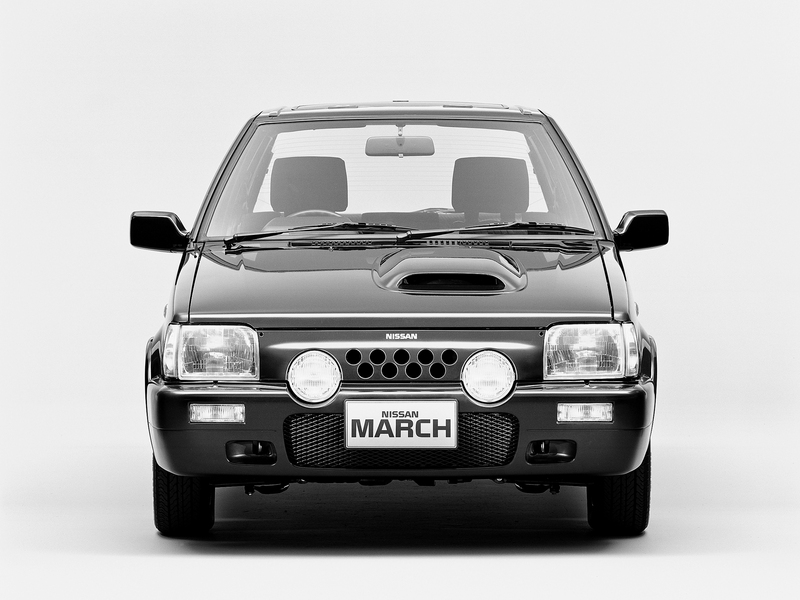 Over here in the UK you’ll recognise it as the Micra – same car just in Japan and Australia it was tagged as the March. 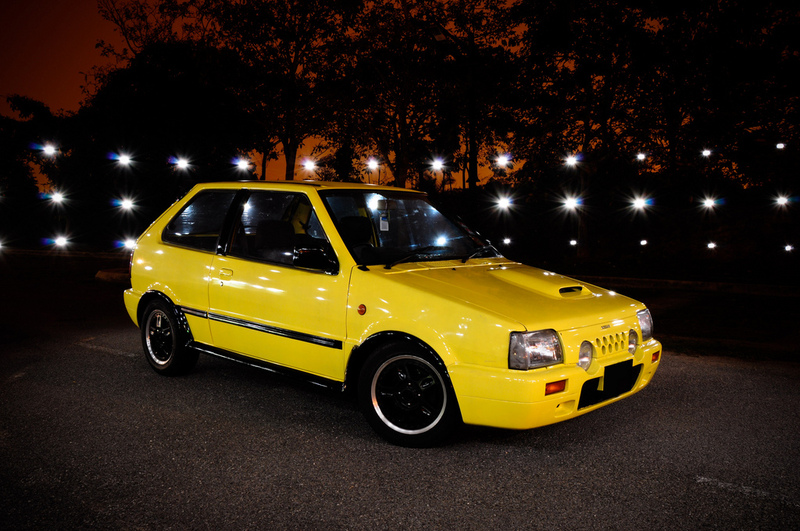 There were other such sleeper cars made during this era, but none symbolised the granny run-around quite like the Micra – in fact, even today, if you spot a modern Micra (especially a gold one) you are almost guaranteed to find a silver top behind the wheel. Why don’t manufactures make these quirky mad little pocket rockets anymore? I don’t mean the ubiquitous hot hatches we now see competing for highest BHP every time a new version of their fastest model is released – I’m talking about instead of increasing engine displacement, just supercharging AND turbocharging its tiny 930cc engine and creating a granny shopping cart capable of 60-mph in around 7.5 seconds – for its time, it could beat a Porsche 944 S to 60-mph and even out-drag it at the 1/4 mile. 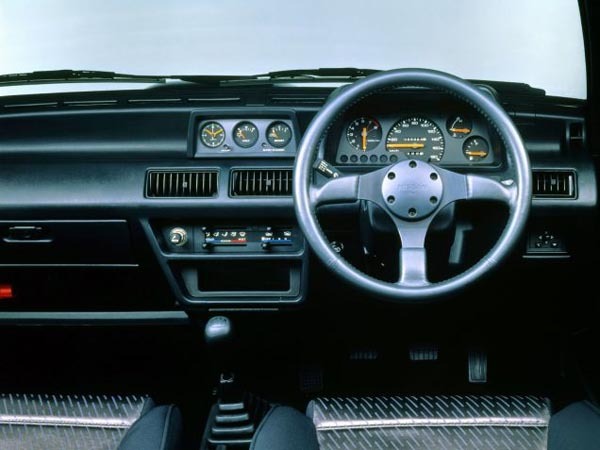 I can imagine pulling up next to a Porsche in the 80s and looking across at its driver with his pinstripe shirt, red braces and house brick mobile phone. 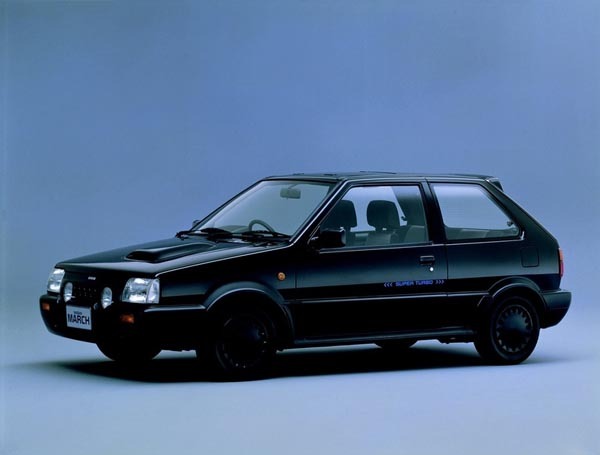 I’d rev and rattle the tiny 930cc engine of my Nissan Micra and inch forward. The yuppie would be so furious at my audacity he’d have to stop talking about stocks and shares and hang up his brick. After the lights had turned green and I’d just nosed ahead, I’d slow, indicate and casually turn off, leaving the yuppie so angry, he’d be scrambling for his Filofax to instruct his secretary, Sandra, to book him a massage session. Despite being both super and turbo charged, it’s not a particularly complicated set-up. At low-to-mid revs, the little four banger is boosted by a positive displacement blower, and then once nearing the higher revs (4500-rpm), a fairly large turbo kicks in to provide amazing top-end performance. This sounds a bit clunky but apparently the transition between both systems is very smooth thanks to a simple control system.